Skye Gravestones | John, Norman & Margaret Nicolson. John, Norman & Margaret Nicolson. 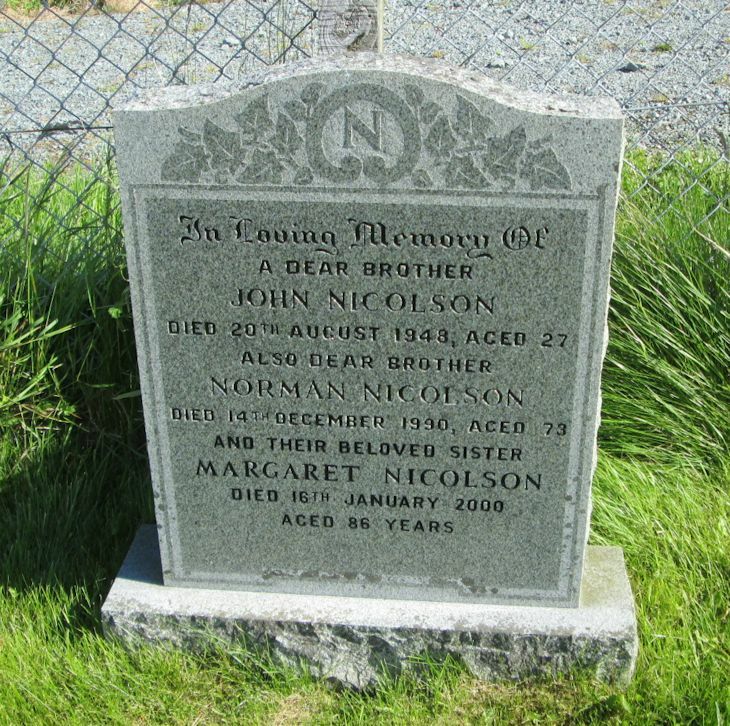 In loving memory of/a dear brother/JOHN NICOLSON/died 20th August 1948, aged 27/also dear brother/NORMAN NICOLSON/died 14th December 1990, aged 73/and their beloved sister/MARGARET NICOLSON/died 16th January 2000/aged 86 years.